Super Smash Bros. - Are you ready for Round Two? It's been nearly a year now since the first revival of this project, and 2010 (and several extensive Brawl play sessions...) have brought a whole slew of new ideas to me. This may be an overdue update (does anyone actually regularly watch this thing?) but I plan to make up for it with some real craziness. Or geniusness. You decide. I've also sweeped the page to clarify and tweak some ideas, along with correct some spelling errors, and I also plan to revamp the roster flash soon with a more pleasing character arrangement than what it uses now (so that may not reflect new posts for a bit yet). Smash Bros. seriously needs a more diverse villain line-up, and most, when given the chance to consider it, probably won't come up with many candidates that aren't the heavy or rival variety that already saturate the roster. 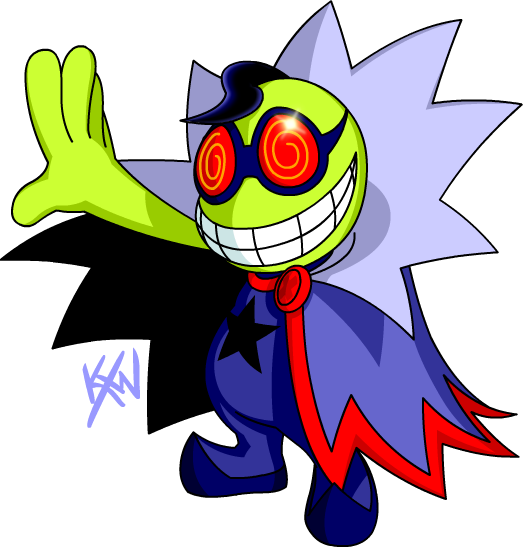 Fawful, on the other hand, would bring something completely new to the villain line-up, while representing the sorely unrepresented Mario & Luigi franchise. Packing plenty of fury and chortles, Fawful is ready to Brawl! Standard Special Move: Star Laser. Fawful's color-coded laser bursts move in a large loop over him before homing in on their target. Two blasts can be active at once, and the color matches the player they're targeting. Down Special Move: Vacuum Wave. Fawful's headgear gulps up incoming energy projectiles, storing up to three for later. Single charges can be spent to slightly restore his damage, but three charges will launch a single slow-moving explosive blast. Final Smash: Dark Fawful. 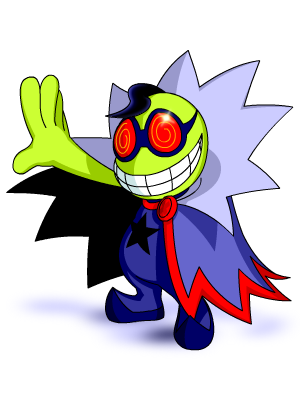 Fawful harnesses the power of the Dark Star to transform into the bug-like Dark Fawful, crushing the stage and his opponents under his mighty, unpredictable attacks. Kirby was originally going to be shown along with King Dedede nearly a year ago, but the update got delayed as I wasn't all that pleased with the latter. 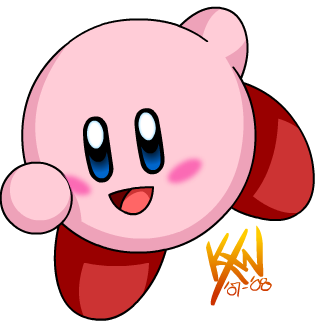 It's probably a good thing, because after playing Kirby in Super Smash Bros. 64 on the Virtual Console recently, I was reminded of several changes I had in mind for the little guy. One change I leave out is Kirby mimicking his opponent's taunts while wearing their hat, as I'm not entirely sure how it would work. Although I think he could copy all three, and either the left or right taunt would be reserved for shedding his current hat. New Dashing Attack: Reverted to the running dive from Super Smash Bros.
Standard Special Move: Inhale. While Inhale itself wouldn't actually be changed, the abilities Kirby copies would be more useful and not always the opponent's neutral special move. Side Special Tilt: A quick, vertical swing drops down in front. Side Special Smash: A delayed, strong fiery uppercut. Side Special Dash: A horizontal spinning, multi-hitting attack. Side Special Air: A vertical spinning, multi-hitting attack. Up Special Move: Final Cutter. 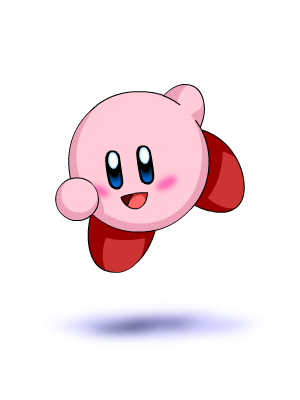 Holding the special move button launches Kirby into a quick fury of swings with his cutter, dicing up opponents before finishing with the true Final Cutter. After the success of Mega Man 9, it's hard to imagine another third party character scoring a slot after Snake and Sonic. If I recall correctly, Mega Man was even next in line. Mega Man has a ton of potential, and while it could be argued that MegaMan.EXE and Mega Man Zero have equal chances, I feel that his classic NES appearance is the most suitable for Smash Bros. Forward Smash: Hard Knuckle. 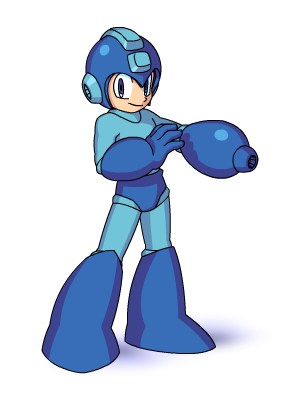 Mega Man lunges forward with an iron fist doubled in size. Neutral Air: Junk Shield. Mega Man flings a spiral of junk around him. Standard Special Move: Mega Buster. Fires up to three rapid-fire shots on screen at any given time, that dissipate on player impact. This move can be charged while moving, jumping, and even while performing A attacks. Charged shots move slower, but travel through opponents. 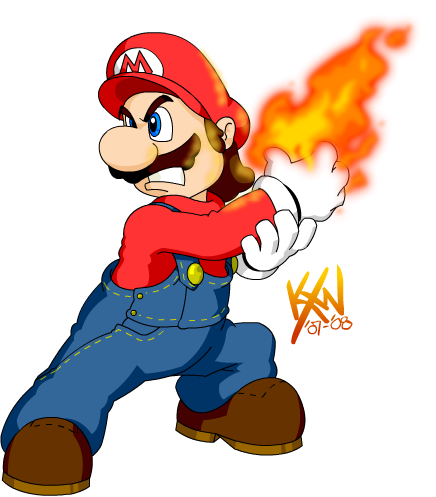 Up Special Move: Rising Fire. A standard rising uppercut. When standing on the ground, Mega Man uppercuts and launches the fire ball vertically. Down Special Move: Charge Kick. Mega Man charges forward in a slide, kicking up an arc of energy in front of him. Deals low damage, pulling opponents along for the ride. Up Throw: Homing Sniper. Mega Man launches his opponent into the air and unloads a burst of homing missiles at them. Down Throw: Super Arm. Mega Man leaps into the air before hurling his opponent into the ground. If the floor below can be passed through, the opponent will crash right through it. Taunt: "Now I've got your power!" 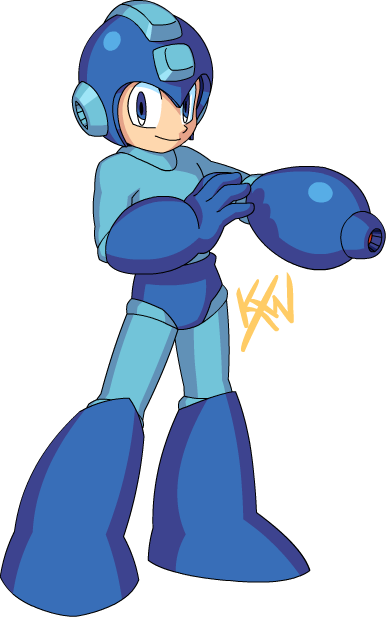 Mega Man gives a small hop while thrusting his fist in the air in victory. This taunt copies the weapon of the last opponent that Mega Man has KO'd, which replaces his Mega Buster with limited ammo. 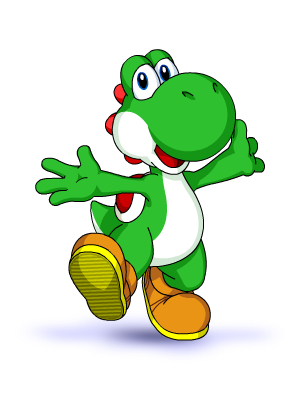 If you're expecting me to say that there isn't a thing I would change about Yoshi, well, you're expecting correctly. 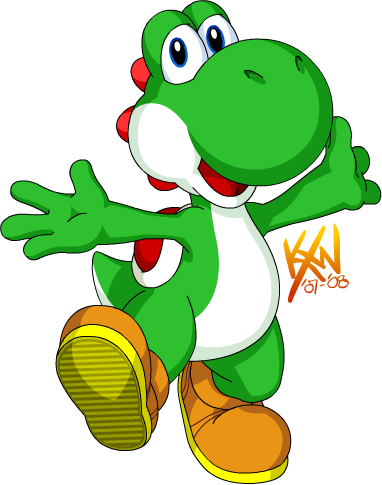 One of my favorite characters in Melee, I think Yoshi got just the balancing he deserved for Brawl. The second ever fighter capable of Peach's double jump floating. New Forward Special Move: Psycho Cut. 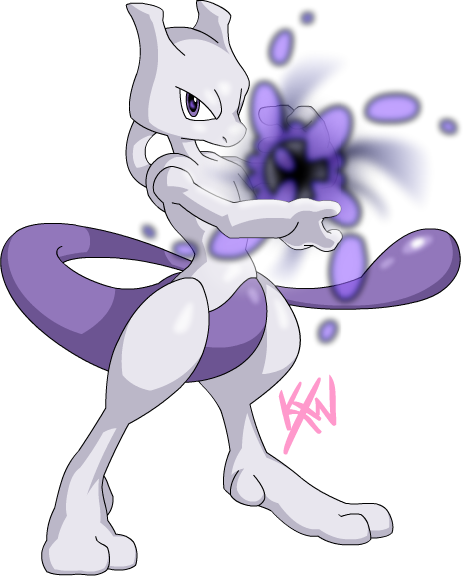 Mewtwo quickly releases horizontal arcs of psychic energy in front of him, dealing light damage. Holding the special move button creates a slower, rising vertical arc that strikes multiple times and finishes with large knockback. New Up Special Move: Recover. Mewtwo briefly absorbs nearby psychic energy before teleporting forward. The initial absorption can also pull in energy projectiles to recover Mewtwo's damage. New Down Special Move: Confusion. Mewtwo holds his hand out, lifting a nearby opponent into the air and flipping them around before dropping them and knocking them off of their feet. This move can also confuse enemy projectiles and launch them back at double the speed and power. Final Smash: Psychic. Mewtwo teleports into the background before conjuring massive amounts of psychic energy. 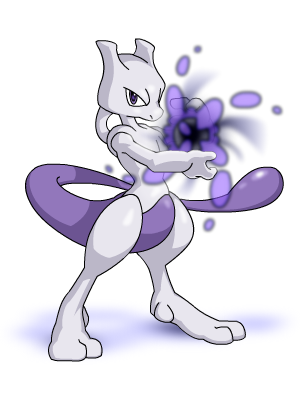 Using floaty, spiraling circles over the stage, Mewtwo periodically bombards the stage and his opponents with slow but deadly psychic blasts. 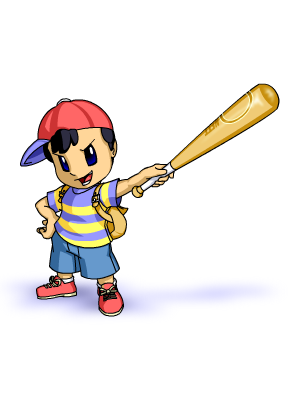 Ness is more of a (Smash) brother to me than an Earthbound character. I hadn't a clue who he was when Super Smash Bros. came around, as I'm sure most didn't. 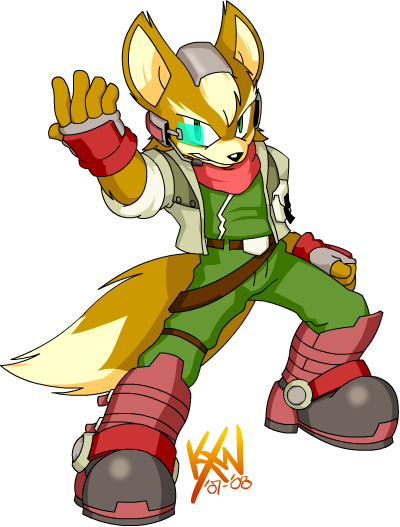 Yet he became one of my favorite characters in the game, even through Melee when his power wasn't at it's peak. Of course, there are things I would love to change to individualize him further from little Lucas (most of which I didn't bother to list, oops). New Final Smash: PSI Rockin'. 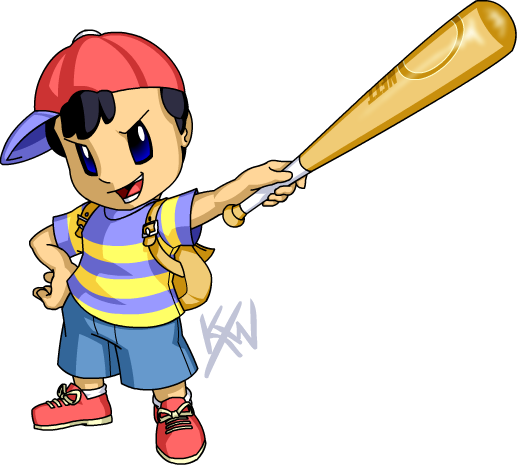 Ness sprays a series of faint sparks across the battlefield in random locations. After a few seconds and on his "rockin'!" mark, the sparks violently explode, launching those forgetful opponents that find themselves caught in the spell's range. 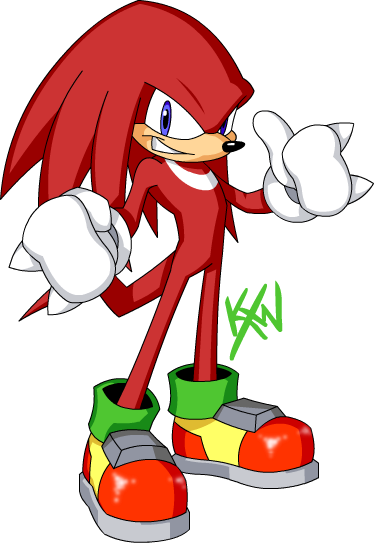 Knuckles is another crucial character in the franchise that deserves representation, however I can only see one other Sonic character making sense as a playable fighter, although Knuckles comes in a close third. Instead of delivering a flurry of punches like Little Mac and Knuckle Joe, Knuckles falls back on his experiences with the Chaotix to turn one of your opponents into a living weapon. Assist: Perfect Chaotix. 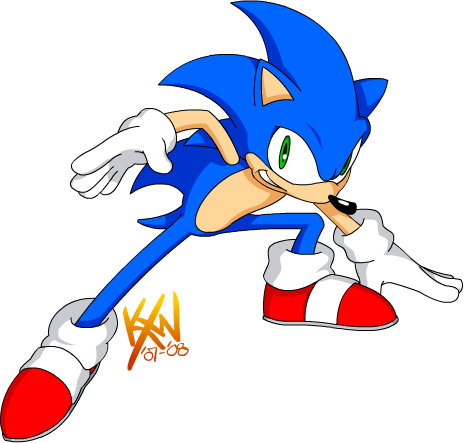 Grabbing the nearest of your opponents, Knuckles spins them into a ball before knocking them into other opponents repeatedly like a tennis ball, before fiercely spiking them directly into the stage for a massive explosion, sending your opponents flying. If the "weapon" has low enough health, he'll simply get stuck in the ground after the spike. 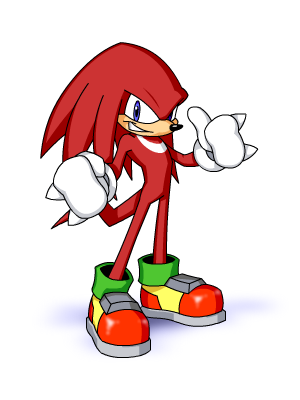 If you only have one opponent, Knuckles will just lead with the finisher. Tails was the first assist trophy character that I decided to do, and I fitted him with an unorthodox - yet predictable - assist. Since the old "blog" didn't say much about fighters themselves, Tails was the first shot I took at really delivering a concrete idea to show that I was thinking outside of the box. Assist: Miles Prower. 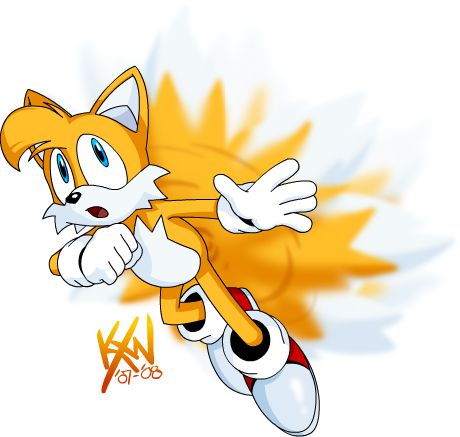 Tails soars onto the battlefield just in time to... follow you around. 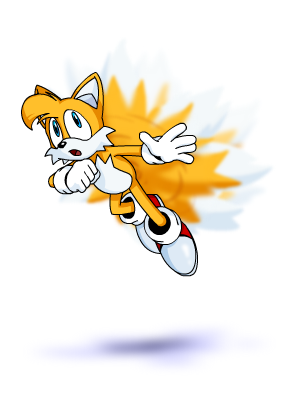 Just like his first appearance, Tails tags along behind you without much of a purpose. However, if you're knocked for a loop, Tails grabs on and flies you back to the safety of the stage! Oddly enough, in my eyes, many of Brawl's newcomers have as little wrong with them as some of the oldest veterans do. So expect to see my larger posts on most of Melee's cast. 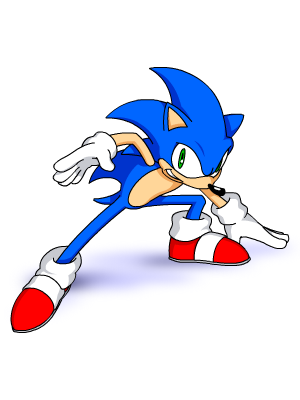 That being said, as the first veteran from Brawl, there isn't a lot I would change about Sonic. He plays as you think he would, although his Final Smash is a touch on the overpowered side (when in the hands of AI, anyway). 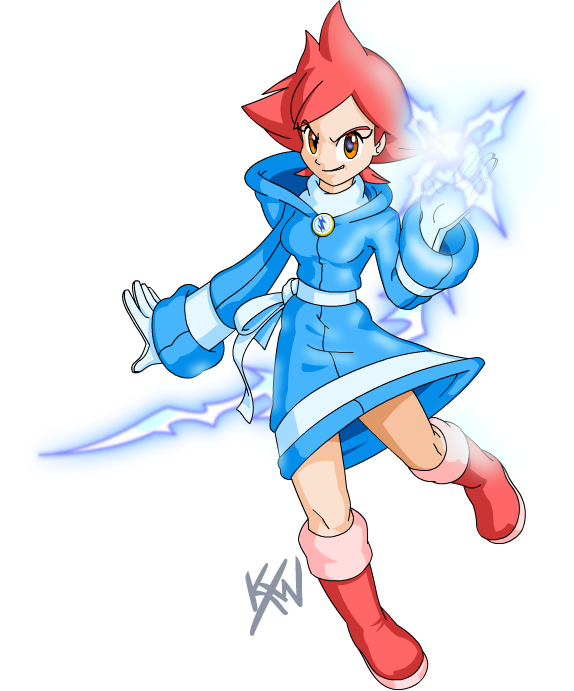 It took me a good while to decide if Kumatora would be a playable character or an assist trophy. 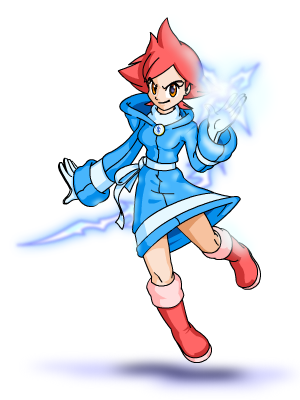 I even considered many options for a potential moveset, envisioning her as a magical-damage quick-hitter, not necessarily having to rely on that PSI power like Lucas. In the end I decided it would be too much of a Wolf scenario, and took the road of the Assist Trophy. Fox may be the only of the oldest veterans that I would literally change nothing about. 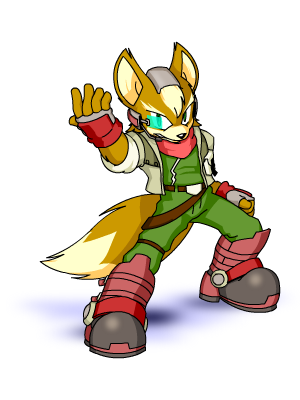 Unlike most, I hated Fox in Melee and think he's a much more balanced and enjoyable character in Brawl. I wouldn't even change his Final Smash, as I think it's perfect for him; just not so perfect for Falco or Wolf. All I can consider are slightly refined attacks involving him always holding his blaster out, much like what was seen in the earliest footage of Brawl, but even this seems unnecessary, or more fitting of other characters. 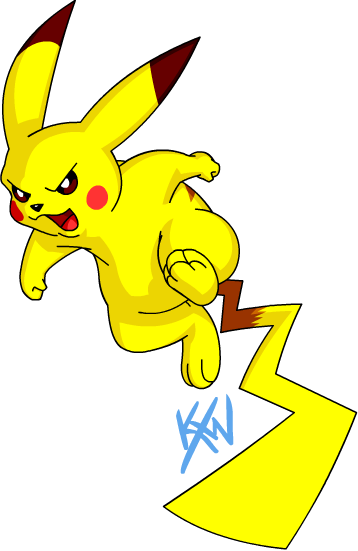 I'm one of those fans that firmly believes that the Pikachu in Brawl is the Pichu from Melee all grown up. Like a lot of the oldest veterans, there isn't a whole lot about Pikachu that I would change if given the chance. But what kind of parody blog would this be if I didn't nitpick? 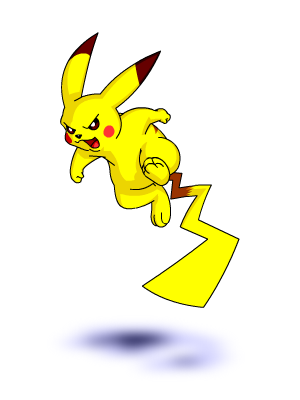 Down Special Move: Thunder would be reverted in power so return Pikachu's balance closer to Melee, where he was typically stronger because of less emphasis on this one, spammable, powerful move. I started typing this up saying that, like Pikachu, there isn't a lot about Mario I would change. That would've been lying, because the ideas started flowing once I started playing around with move ideas. New Down Air: Mario's true signature move, a downward-lunging stomp that can "bounce" off of other characters. Could potentially spike, if it wouldn't be overdoing it in combination with footstool jumping. New Forward Special Move: Mario Tornado. 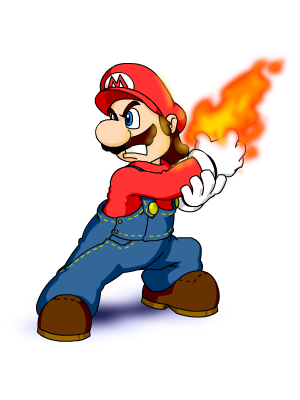 Adapted from Super Mario Galaxy, Mario spins around once, clobbering opponents and knocking them off of their feet. New Down Special Move: Cape Twirl. More like the original Tornado, Mario twirls around with his cape on, rapidly bashing opponents. Could gain some vertical height as before, and the initial twirl of the cape would still reflect projectiles. New Final Smash: Super Mario. Power Star in hand, Mario bursts with the colors of the rainbow, gaining invincibility, extra ground speed, infinite damaging somersault jumps, and superb aerial maneuverability. It's been over two years since I first launched this project with the simple goal of killing time until the release of much-anticipated Super Smash Bros. Brawl. I gathered nearly thirty-thousand (29.5k to be more exact) viewer hits, and I kept with it through the life span of the DOJO!! until the game itself pulled me away. I return a year later, revitalized and bursting at the seams with ideas. While I praise the franchise and this installment up and down, I'm sure I'm not alone in thinking that it isn't exactly perfect. Instead of crowding the internet with more preachings about fan ideas, I decided to revive this project with a new goal: to illustrate my own ideas. Last time, I polished my updates with the "Sakurai-eese" language, which I felt brought an incomplete, vague vibe to the whole project. It was clear I had ideas, but I made no effort to nourish those ideas. This time, I'll be presenting these ideas in a new, direct-from-the-would-be-developer format for a more enjoyable package. I also plan to include not only characters, both old and new, but adventure mode bosses, assist trophies, stages, and more. You may have been ready to LAWL! !, but are you ready for Round Two? 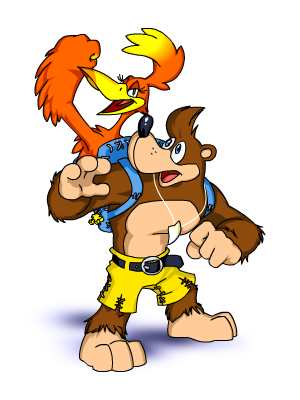 I've wanted to see the bear and bird duo in the fray ever since Super Smash Bros. Melee was first announced. I imagine the opportunity wasn't seized due to the company's poor development for the Gamecube at the time. Regardless, this possibility is near impossible today, and this will probably be my most unrealistic character choice. Multiple double jumps. Ability to glide. Down Smash: Pack Whack. Banjo slams his backpack down in front of him. Forward Air: Rat-a-tat Rap. Kazooie lunges out for a three-hit combo. Down Air: Bill Drill. Banjo and Kazooie spin downwards like a drill. Standard Special Move: Shoot Eggs. Kazooie launches up to three eggs forward, with a rare chance of launching a single grenade egg in a slight arc. Side Special Move: Beak Barge. 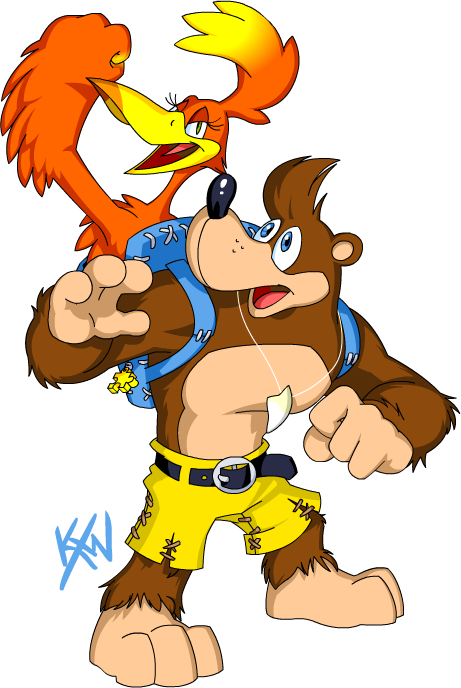 Banjo crouches and charges forward with Kazooie lunging out like a spear. Performing this move while gliding will perform the Beak Bomb! Up Special Move: Feathery Flap. Kazooie spreads her wings to grant Banjo limited flight, hopefully back to the safety of the stage. Down Special Move: Wonder Wing. Banjo ducks for cover as Kazooie's golden wings shield them from incoming attacks. Capable of reflecting projectiles. 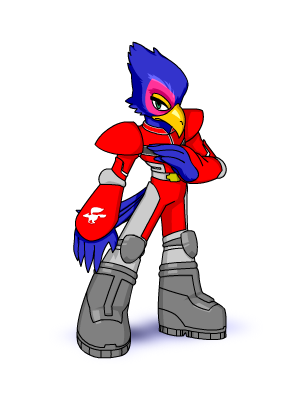 At one point, Falco was number two on my list of characters that needed to be removed. The over-abundance of Star Fox characters in the roster has been bothering me since day one, especially due to them being far too similar. However, I figure the fourth installment will have close to 50 playable characters, so I see no reason that he can't stay, with a little more individualism. Two pistols. Perhaps only an aesthetic change. New Up Special Move: Free Bird. A wind element Fire Fox. New Final Smash: Arwing. Leaping into his trusty Arwing, Falco takes to the skies to bombard the battlefield with lasers and smart bombs, while confusing his opponents with screen-spinning barrel rolls. Super Smash Bros. and Super Smash Bros. Brawl are copyright to Nintendo, HAL Laboratory Inc., and Masahiro Sakurai. Smash Bros. DOJO!! site layout is copyright to Masahiro Sakurai and Sora Ltd. Varying characters are copyright Nintendo, HAL Laboratory Inc., Pokémon, Creatures Inc., GAME FREAK Inc., SHIGESATO ITOI, APE Inc., INTELLIGENT SYSTEMS, Konami Digital Entertainment Co., Ltd., SEGA, and those are just the ones listed on the official site! Needless to say, any character that was created by a certain company is copyright to that company.